Another productive visit from Project 49. 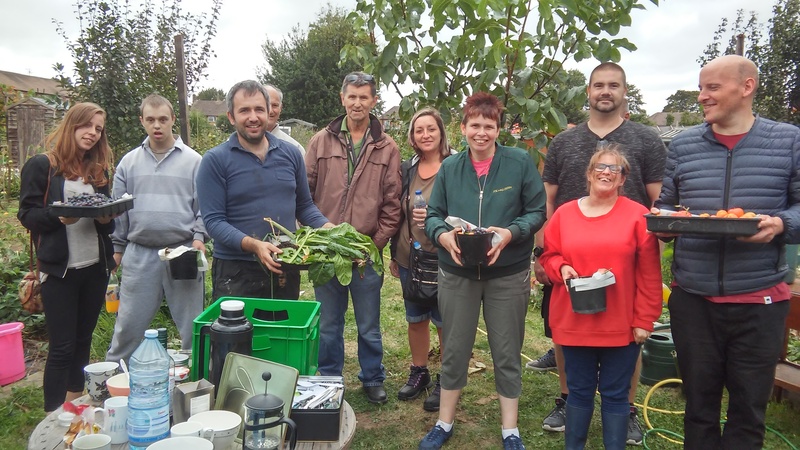 The team managed to cut the grass, rake the orchard plot, cut the comfrey, water plants, fertilize beds with used coffee grounds, weed a raised bed and harvest chard, tomatoes and grapes. You can see a lot of experience picked up from volunteering with Graham in Mendip. Their new film crew arrived a bit later and lots of pictures and footage were taken. Bosco helped out with the grape vine and prunned the plant to let more air and sunshine touch the grapes and help them mature. There will be plenty of them for snacking, freezing for smoothies, juicing and maybe even some wine:) thank you.